From Coke bottles to ice cream and even fresh made deli sandwiches, we can deliver all types of snacks to your location from Ogden to Salt Lake to Utah Valley. We offer a variety of vending options custom fit to meet your office and employees needs. Whether you need bill accepting vending machines or micro market kiosks, we are here to help. Each company is unique. One-size-fits-all approaches will never help your business reach its full potential. We deliver custom solutions, tailored to you–your industry, your culture, your one-of-a-kind challenges. We help your business reach it’s full potential by delivering custom solutions tailored to your industry, team culture, and one-of-a-kind goals. Sitka Vending delivers to satisfied customers from Ogden to Salt Lake and Utah Valley. Ideal for a small to large break rooms in an office building or open area where most easily accessible. Also good option for apartment buildings or hotels for employees and/or customers. Born and raised in the Salt Lake Valley, we continue to live and operate our business here. What started out as a family business has grown to be one of the best known vending companies for service and integrity. If you have a problem, we will be there within 24 hours to correct it. These guys are awesome, I love having a pick me up snack that's always stocked in our break room. Great service! 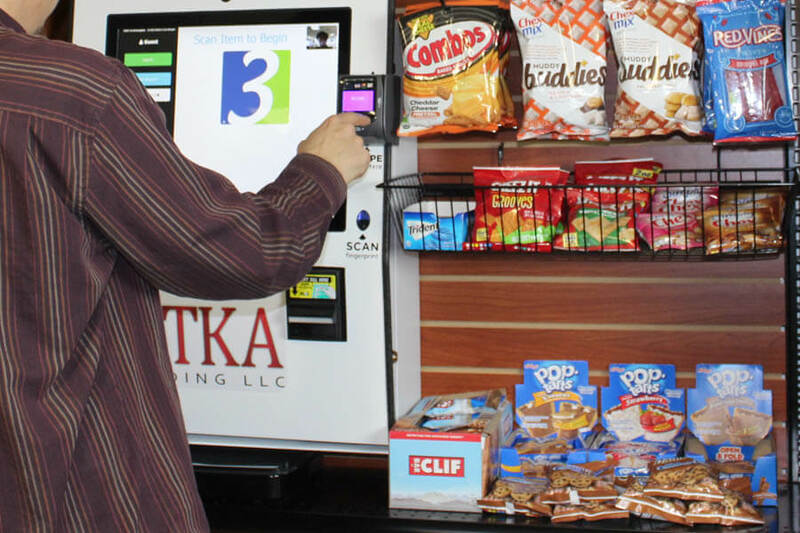 We have really enjoyed working with Sitka Vending! Dave is awesome to work with! Snack delivery made easy.. literally these guys are fast and efficient. Loved their pitch, and my staff loves the snack service. Boo ya! Dave and his team provide awesome customer service and delicious snacks. Fun times working there. Hope they continue to grow. Companies who provide employees with snacks as an employee perk, like Facebook and Google, realize they have tapped into a cost-effective way to encourage employees to be more productive and happy.